Being Wm we are engaged in providing a wide range of EPS Vertical Block Moulding Machine. The offered machine is manufactured using latest technology and high quality components that are sourced from the trusted vendors of the industry. We assure our clients that this machine is quality checked against various predefined quality parameters. 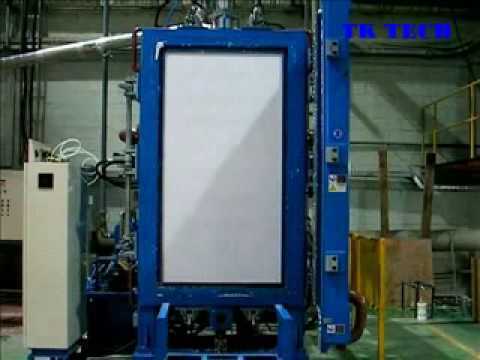 We provide this machine in different specifications as per the needs of our clients. We have gained recognition as an eminent enterprise, devotedly engaged in manufacturing and supplying a broad range of EPS Block Mould (Vertical). "Mahashakti Machine Tools" is a leading manufacturer and supplier of highly efficient range of EPS Shape Moulding Machine, Fully Automatic Pre Expander Machine, EPS Block Mould Machine, EPS Mould, EPS Cutting Machine, etc. Incorporated in the year 1994 at Faridabad (Haryana, India). All our supplied engineering units are superior in quality and best for use in the industrial sections running for heavy product production. Finest employment of the all raw sturdy inputs in these packing solutions and engineering products is accordance to the global norms and parameters. Safe to heavy products in different production areas all our packs have longer shelf and life and optimum working throughout the life.